On the morning of April 3, 1865, the 29th (Colored) Regiment Connecticut Volunteer Infantry awoke from their positions on the outskirts of the Confederate Capital of Richmond, Virginia, to find that the enemy had abandoned their positions. The men of the regiment, therefore, were ordered forward by their commander Colonel William B. Wooster of Derby, and arrived in the city at 7 a.m. 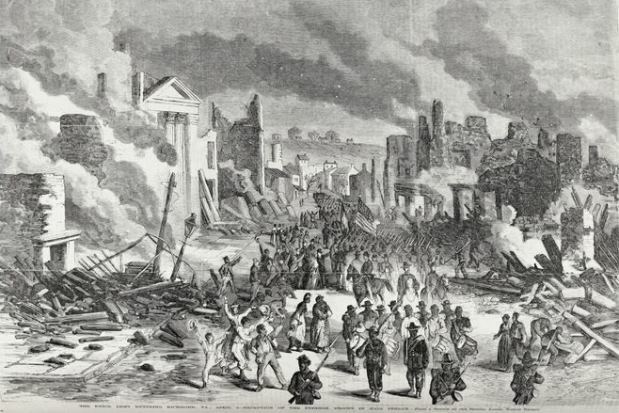 According to unit historian the Reverend Henry G. Marshall, companies C and G of the 29th became the first Union infantry soldiers to enter the city. When President Abraham Lincoln arrived later that day to make his “triumphant entry into the city” A. H. Newton recounted how he turned to a nearby black women and said, “Madam, there is the man that made you free.” Gazing at the President, the women, in turn, replied; “Glory to God. Give him praise for his goodness,” and she shouted, Newton wrote, until her voice gave out. Cornel Garfman, MS, is a writer and historian.